To be eligible for CoolSculpting® treatment you must have localised fat deposits in areas such as: the abdomen, back, hips, arms, inner thighs, buttocks or have ‘saddlebags’. The treatment is particularly effective in the areas where there is a clear sign of bulging, in both men and women. Patients with a BMI (Body Mass Index) that is close to standard for their age and build, but who have fat deposits that are resistant to change of diet or increased physical activity, have the best indications for this treatment. This method has many advantages and is a good alternative to liposuction. Unlike liposuction, the technique is non-invasive. There are no needles, no tubes are inserted under the skin, and therefore there are no scars and no anaesthesia. Once your session is over, you can resume to your normal activities. No downtime and no sick leave. You can re-commence sport and physical exercise with a week or so. 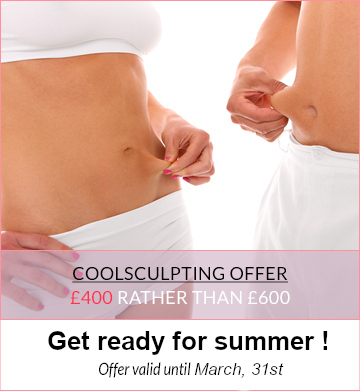 The results are convincing and long lasting providing you do not put on too much weight following the treatment.